As the names suggests Matra-Simca was the result of a partnership between Aeronautical firm Matra and the long established, Chrysler owned car producer, Simca. 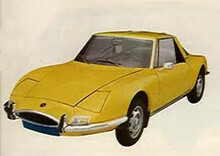 The first car to emerge under the Matra-Simca brand was the Bagheera sports model in 1973. This car was never a commercial success and was joined in 1977 by the Rancho. The Matra-Simca Rancho was really ahead of its time, being a "life-style" estate car with chunky off-road styling features. 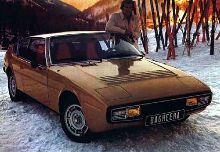 In 1982 the Matra-Simca name was replaced by Talbot, production of the Rancho continued until 1984.